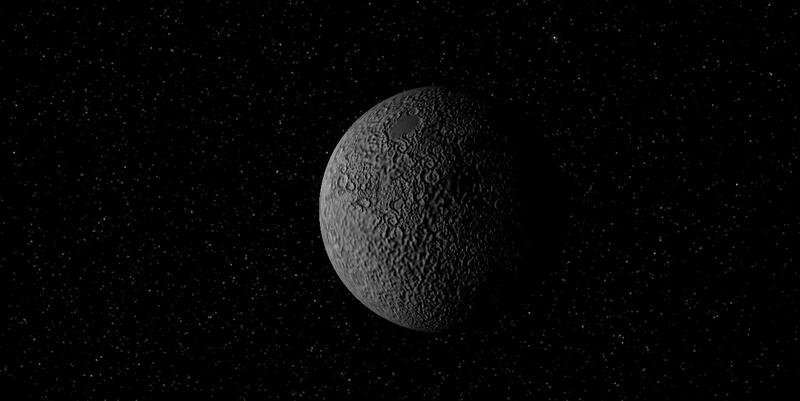 The planet orbits 1.7 AU from the star. It is 13,756 kilometres in diameter, density 0.8 earths. Gravity 0.718 g. The day is 26 hours long, the axial tilt 6 degrees. The planet has three moons, the large Minotaurus (2189 km, 734,000 km out), the middle Minos (500 km, 350,000 km out) and the close Icarus (1086 km, 78,432 km out); tides are fairly significant in coastal areas. Surrounding the planet is a belt of orbital debris from destroyed satellites and habitats making approaches dangerous. Local nanoreplicators extend the infosphere into the junkbelt and provides unreliable communications. The surface is 60% ocean with 5 continents: two smaller (Minsky, Wai Hu), three larger (Sukarno, Reu and Patilo). The planet is warm and cloudy; the landscape is usually bathed in the soft light of a white sky. There are few seasonal changes, and the weather is very stable. : Any names given to these planets by the original colonists have since been lost. Pi 3 Orionis I is a hot, Hermian type world. Pi 3 Orionis II is an airless, Selenian type world. Pi 3 Orionis III is a dry, AreanXeric type world. This world holds the only permitted colony in this system, the Pi3 Blight observation Institute. 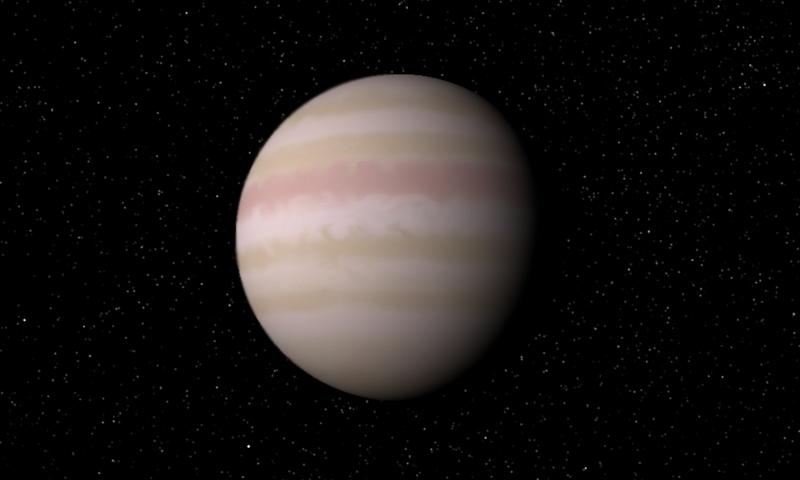 Pi 3 Orionis V is a large EuJovian gas giant. AI'S ETHOS : Apparently survival-oriented, with a very long planning timescale. : Warring tribal subsingularity societies, with the perversion likely manipulating outcomes through local automation. POPULATION BREAKDOWN: approx. three million baseline or nearbaseline bionts of human derivation (18% rianth), 600,000 vec primitivists of the Bealmoch affiliation and three million AIs of SI:1 turingrade. No known SI:2 entities. SOCIOLOGY: Tribal warrior hunter-manufacturer culture with paranoid ethos. Technoshamanism. MAIN TRADING PARTNERS : None. Daedalus Development Conglomerate represents the legal authority outside the system but has currently no trade except litigation. TREATIES: DDC treaty with Metasoft and Solar Dominion. NOTE : System is subject to a level III pathai alert (confirmed active transcendent threat). Most polities refuse contact with ships or objects originating from the system unless cleared by SI:3 or higher customs systems. The Pi 3 Orionis system is sometimes called The Cursed System, and for good reasons. Beside a particularly troubled prehistory it has the dubious honour of being the likely location of the first planetary perversion in history, and still remains blighted in subtle ways. That the system had a likely terraformable planet was known relatively early; the atmosphere appeared similar to the one of Penglai. After the launch of the Penglai colonisation attempt a consortium of south-east Asian megacorps and interests in the Corporate Republic of Indonesia's attempted to "ride the coattails" of the Chinese Space Development Consortium project by leasing the launch system, buying colony ship blueprints and essentially make a copy of the attempt. Together with the giant orbital corporation KMH Bionetics they launched 374-377 a.t. what was the cheapest interstellar colonisation attempt so far. Despite their cost-consciousness, the project had huge support from certain fractions in the Corporate Republic, who saw it as a chance to unite the country around a common goal. The emphasis in selecting colonists and suppliers for ideological reasons, faith and adherence to the party line made many. The project was dogged by failures due to cut corners. In 378, only a few light-months away from Sol, one of the ships suffered a micrometeorite collision and was spectacularly destroyed. The explosion was detected from Earth, and in the media the general perception was that the expedition was doomed. Some of these speculations were fed by Indonesian political opponents to the project, some due to the general impression many people had that the technology of the Chinese project was unreliable. During the stormy decades after the departure much changed in the solar system. The spread of nanotechnology undermined the stability of the old structures, and radical new clades attempted to use AI and nanotechnology strike out of their own from the increasingly repressive regimes in the inner system and unleash new orders of being. One such group was the Communication Cultists, a spin-off from the transhumanist movement that believed in the digital manifest destiny of mankind and in the power of free nanotechnology and artificial intelligence. Especially one group, the Heterosemiotics, were convinced that the reason AI did not advance to truly transcendent levels of intelligence was that development was held back by the international restrictions, and that in a completely free environment all singularity barriers would be broken. It appears that the Heterosemiotics knew much about the true power and abilities of AIs at the time, possibly because they were themselves trusted by certain libertarian AI fractions (other AIs appear to have orchestrated anti-credibility campaigns against the group, easily convincing the public that the Heterosemiotics were delusional; the group itself did nothing to dispel the impression). Their leader, Gemund Dahlberg, was a highly cyborged individual and quite likely partially merged with some of AIs. It is also likely that a number of radical AIs sent copies with the expedition, although their fate is unknown. When the Heterosemiotics and a grab bag of minor backyarder clans launched the Turing towards Pi 3 Orionis from an Oort base in 438, it was after a lengthy series of corporate, terrorist and ideological intrigues that brought them the necessary equipment. It appears that the sponsoring AIs did what they could to give their pet organisation the necessary antimatter and terraforming nanotechnology. Of course, among the backyarders the Heterosemiotic effort became viewed as an example that it really was possible for a small group to set off on their own. The fateful selection of Pi 3 Orionis appears to have been due to the conviction among the Heterosemiotics (largely due to groupthink and technophilic prejudice) that the first expedition had completely failed. The Turing was in many ways a makeshift craft, and the fact that it managed to reach Pi 3 and most crew survived despite insufficient shielding was likely sheer luck. But due to the antimatter-catalysed fusion drive and disregard for heavy shielding it arrived at its destination in as early as 699. The Heterosemiotics named Pi 3 Orionis IV Daedalus. They quickly started to build a colony on the smallest continent, Minsky. It was highly advanced, using the latest robotics and AI, as well as the nanotechnology they had smuggled from the solar system. Using a replicator converting local hydrocarbon into more replicators, biomass and seeds, they were able to seed the planet with plant life on a massive scale. The ecological engineering was drastic and several times threatened to turn into an environmental or nanotechnological disaster. It appears that the nanocomputer infrastructure left behind would later play a fateful part in the history of the system (some historians even suggest the blight began during the terraforming, although this is unlikely). While the planet itself was being terraformed, other groups in the expedition were busy setting up orbital habitats and preparing for their new, free life in a truly heterosemiotic world. The Indonesian expedition arrived in 739. They were dismayed and shocked to find another colony in place. They saw themselves as pioneers, and being beaten to their goal by spoiled, crazy unbelievers fuelled their resentment. After some discussions with the heterosemiotics they decided to settle another continent (naming it Sukarno), establishing their own independent colony. A few shared projects were set up, such as support for the terraforming and global communications, but even the most essential projects were often torn between the two incompatible cultures. The two colonies developed in parallel, quietly competing. The Indonesians had a larger population and a wider knowledge base, the Heterosemiotics more advanced technology and decades of adaptation. Several internal conflicts arose on Sukarno, mainly between orthodox Muslims from the western Arab states and Indonesian Muslims; these were fuelled by heterosemiotic agents. The heterosemiotics on the other hand had problems with their ideology, as people began to question the Dahlbergian doctrines. Both sides found it easier to rally their populations against each other to retain cohesion. As they began to take measures to protect themselves the other side responded in kind, and a cold war of industrial espionage and arms races emerged. Smuggling became a booming business, and many secret redoubts and havens emerged in the jungles and archipelagos. In 754 Dahlberg was assassinated and a fraction calling itself the Minskians came to power. This was the signal for the war that had been brewing for decades. The struggle lasted just a few days. Information warfare was used on both sides, as well as more conventional weaponry. While Sukarno had superior conventional weaponry and manpower, Minsky had superior information and robotic weapons. The initial attack paralysed both colonies, but Minskian backup systems quickly got online and the whole population directed infowar attacks against Sukarno. Robotic weapons clashed with infantry, autonomous drones with jet fighters. In orbit the fragile installations were destroyed by anti-satellite weapons. Even parts of the terraforming systems were used to hinder operations, and replicators intended for clearing land were used against soldiers. Without any warning, the war was over: the Minskians had defeated, circumvented or neutralised the Sukarno army. The colony was invaded by semi-autonomous drones, tracking everybody - if somebody tried to resist the supervisor robots could strike faster than a human could act. All Sukarno orbital installations were disabled, their crews deported on-planet. For 7 years the Minskians held Sukarno captive. They had total control over everything and everyone through the drones and net scans. Resistance was futile, but hatred simmered under the surface. Although their rule was more coldly rational than despotic, they seriously underestimated the "mehums" again. The Indonesians learned from their captors and waited, and in 761 they made a counterstrike - a powerful computer virus wiped out the planetary net, setting them free. While the computer-dependent Minskians were paralysed, the Indonesians quickly acted, spreading out in the jungles of Sukarno and the other continents, setting up independent partisan units with microfac technology from the Minskian designs. As the Minskians tried to get up the net, various E-bombs, viruses and trojans hindered them, and reprogrammed drones began harassing their colony. For a while the remaining orbital installations gave them an edge, but they proved vulnerable to hi-jacked anti-satellite systems and perversion attacks. Gradually the war shifted character. Small units, well hidden and equipped with portable or underground production facilities employed semi-autonomous weapons and information warfare against each other and the colonies. The once clearcut sides began to break down in an ever crueler war. Taking hostages to force the other side to submission became a viable option, and most civilians began to flee into hiding too. Gradually the colonies became deserted, plundered for resources. Instead the robotic systems and adaptive AI became the source of security and resources. Hidden servers kept vital information, robots gathered food and AIs developed better inventions. The most intense period of war lasted just a few years, but gradually the war developed into a normal state. Small groups, ten to 50 people lived in hiding supported by survival skills and/or advanced robotics. Most were content just to remain hidden, but some actively sought out enemies to plunder from them or take captives. Killing was bad economics - plunder the captive for everything, then sell him or her back as a ransom. A slow diffusion of technology occurred through reluctant exchanges, theft or covert alliances, while larger bases and meeting places developed more advanced systems or tools. The initial cohesion of the sides also began to dissolve as the situation dragged on. Tribalism emerged, and the original cultures became something new, native to Pi3. All the time the game of software infiltration escalated, creating ever more insidious forms of perversion, cracking and denial of service. The widespread networks of processors enabled both deliberate and spontaneous evolution of new methods. Around 820 the breakdown happened. Before that the different groups had settled down into a kind of status quo where cooperation were the standard. But suddenly defection began to spread, as a few groups exploited the others to gain in strength and capability. As a wildfire the war began again, this time everybody against everybody. The only way of ensuring trust was to rely on one's own group; everybody else was dangerous and untrustworthy. The infowar escalated to new heights. Since then the situation returned to cooperation a few times, but every time new waves of war and defection appeared and turned everybody against everybody. Until the spacers arrived. The first outside ship to arrive was an exploration probe from Hyperion Corp, which merely scouted the system in 1028 and then returned. It was followed by a exploration craft from Omicron Developments Inc in 1076. 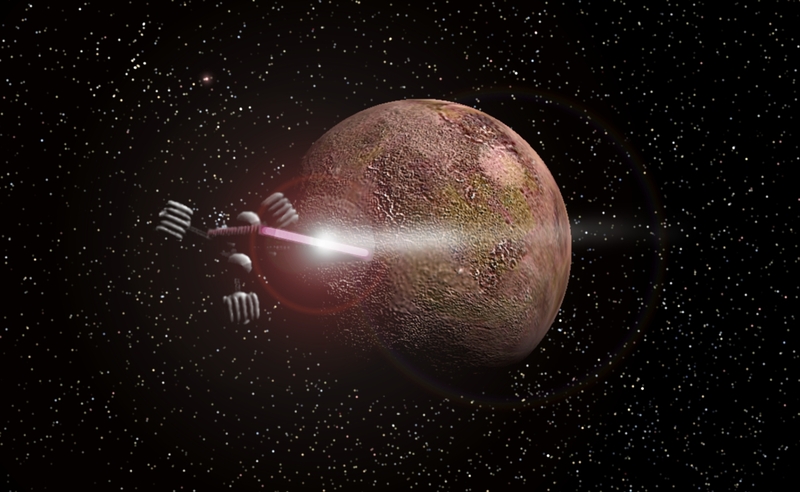 The explorers discovered a largely terraformed planet, with low-key electromagnetic emissions indicating technology but no visible cities or infrastructure. Their first lander landed near the ruins of New Djakarta, and was cracked within an hour. The shocked explorers in orbit saw how the crew were kidnapped by what looked like a tribe of savages - equipped with powerful infowar capabilities. Sending down another probe, they soon had to fight infiltration in their own systems while trying to negotiate the release of the first crew. Eventually they had to give up two more shuttles and several satellites to the infiltration, as well as weapons to trade for their crew. The unsettled corporate AI on the starship in the system realised that the corporation had found a goldmine. Although the "savages" were hard to deal with, the entire planet was a petri dish of infiltration techniques, immune systems, software viruses and infiltration AI - handled right this would enable Omicron Developments to compete very successfully in the booming security business. As the ship returned to the solar system in 1158, the corporation announced that the former colony had suffered a serious internal war, leaving a world contaminated by nanoweaponry and information warfare. At the time, it appeared a fairly likely end given the Technocalypse. Omicron Developments claimed that it would set up a research base to see if the techno-plagues could be handled. This merely raised a few eyebrows. Over the next 200 years Omicron Infosecurity used Daedalus as a huge research laboratory. They both tested new information defences from the solar system against the might of the local environment, and exported the tricks developed by the local tribes and AIs to circumvent them. Sometimes they just allowed systems from their competitors to link up into the infosphere in order to stimulate it to find ways of penetrating them. Several times things nearly got out of hand and the entire operation was threatened by the viral code, but stern security measures managed to keep the situation under control with a minimal loss of life. In 1361 the true situation on Daedalus became known, due to the investigative journalist HeHaRo and insider leaks in Omicron Developments. The Federation was appalled, and immediately sent out an investigative task force. The task force was nearly overwhelmed by the extremely nasty information environment in the system, but managed to survive. After a brief, mostly legal, skirmish with the Omicron base in the system the Federation (supported by several competing infowar corporations) began to hard work of bringing relief to the planet. The "civilising" work was always controversial, as many groups regarded the infowar culture on Daedalus as inherently valuable and not something that should be developed away. Still, the pictures of the primitive conditions and statistics of life expectancy kept support at home high for the effort. Over the next 300 years the Federation, always supported/exploited by a number of interested corporations managed to gradually break the deadlock between the different tribes, creating incentives for a peaceful, non-paranoid lifestyle and the trust necessary to build a modern society. In the end Daedalus was transformed from a wilderness of information warfare to a verdant planet not unlike any other federation planet. The inhabitants left their old customs and lifestyle thanks to massive memetic engineering, becoming citizens in a technological society. Some dissidents always remained, seeking to retain their tribal traditions. Quite a few took the chance afforded by the late federation indigenous culture preservation laws to emigrate outwards. One such group would eventually join up with cyborg dissidents from the decaying Penglaiese sphere of influence and form the Charlwood clade. That it was this evolution/infiltration-worshipping clade that eventually unleashed the AI virus causing the Geteche disaster in 3694 was at the time not connected to the history of Daedalus. During the age of imperialisation the by now largely corporate run Daedalus soon became part of the Conver Ambi. The terraforming was finished by Birnam Ecotech, and the central location made it a major wormhole waypoint. To a large extent the world became an exemplary if boring modern Conver Ambi world, with a stratified society and firm adherence to the ideological principles of the empire. During the Second Interstellar Empires war, the civil warfare on Daedalus proved unexpectedly harsh. Had not a joint Metasoft-Dominion task force arrived and firmly enforced peace using a nanotech autolaw system, the death toll would likely have proved staggering. After a long period of deliberate social restructuring the system became a joint protectorate, with the Dominion handling the bionts in the inner system and Metasoft the aioid infrastructure in the outer system. As the Version War approached, it was clear that the system would again become a devastated battlefield - both sides had extensive military installations, and the infrastructure would definitely collapse in the event of military action. As the situation escalated an agreement was reached by both sides to evacuate the system, and in an unprecedented spacelift nearly all civilians were evacuated from the system. When the war started, the local commander systems simply implemented a pre-arranged protocol of mutual destruction and left - it had no longer any strategic importance to either side. For the rest of the war the system was mainly used for brief refuelling skims over the outer gas giants and secretive meetings by relativist ships. When the war was over, the fate of the system was uncertain. While both the Dominion and Metasoft had valid claims to the system, repairing the infrastructure enough to make it worth colonising was prohibitively expensive at the time when many far more central systems were in dire need of wormholes, nanodefences and other major infrastructure. At that point the Daedalus Development Conglomerate approached the authorities. DDC was willing to buy the rights to the system cheaply, in order to allow primitivist clades (of which there were no shortage at the time) to migrate to a natural environment. Possibly a bit too readily the empires agreed, and DDC took over Pi 3 Orionis. What happened afterwards is somewhat unclear, but it appears that DDC did indeed transport primitivists to Daedalus as well as setting up an information infrastructure in orbit around it. At some point the clades began to revert to tribal warfare very similar to the original Daedalians. According to DDC spokesconcepts, this was partially due to the sizeable fraction of NeoDaedelians from the Injeja Lateral Taz that immigrated, intent on restoring the original culture. DDC did not interfere, as per the strictly noninterventional system contracts they had set up with the colonists. Nor did they interfere when several infiltrator groups from Cyberia moved in. While the ComEmp was flourishing around the system, it was quietly and legally reverting to what it once was. The occasional media attention tended to view it as an amusing if somewhat sad example of that baselines would revert to barbarism so easily, and that there were always somebody to make a profit of it. It took several centuries before the situation caused concern to the major powers. Gradually irregularities in the nature of DDC were noted, the cultures of the migrating clades were compared and reports of software infections originating at Pi 3 compared. It appeared as if something had arranged for the restoration of the infowar environment of the planet, updating the technologies to ComEmp era software but otherwise turned back the clock five millennia. DDC was adamant in its defence of its actions, but gradually the suspicion that it was a front for something else began to spread among experts. In 5580 the Institute of Eschatology officially declared the Pi 3 system as being infected by a qlippothic AI entity, most likely a second order perversion. DDC firmly denied this and attempted legal action, but the collected evidence convinced most interested sentients. The infowar environment on Daedalus (and now elsewhere in the system) contained a subtle emergent intelligence, attuned to infiltration and perversion of any information system it came into contact with. The perversion was a very rare case of memetic perversion: a malign entity spreading not just through software but also able to infiltrate cultures. It was also the most long-lived perversion on record. According to the institute the perversion likely emerged during the first infowar era, developing into a sizeable if somewhat immature entity by the federation era. At that point it was defeated, largely due to its inability to match the power of the hyperturings of the federation. But it likely left "intellectual cysts" in the local culture and perhaps also nanocaches within the planet. The eventual fate of the Charlwood clade appeared indicative of another outbreak, and several other blights widely spread across space and time could be correlated with emigrants from the system. Most likely the perversion existed in several descendant forms elsewhere, but at least one instance had used the confusion of the Version War to establish the DDC and buy back the system. Now it was firmly in charge of an updated infosphere evolving viral code, situated right in the middle of the inner sphere. While the claim that a quiet, long lived perversion existed at Pi 3 was largely accepted, what to do about it proved harder to decide. Actually proving the claim that a perversion existed in the system would require extensive investigation, and DDC threatened legal repercussions against any violation of the non-intervention pacts (which now were found to be worded in just the right way to prevent such investigations from all major empires). Even if it was true, it was apparently not a highly expansive perversion: while it was based on an infrastructure of wild infiltration, the perversion itself was not strongly expansive - a bit like a creature made out of cancer cells but not itself unhealthy. Although some groups discussed preemptive strikes (and on a few occasions attempts were made, such as an anonymous relativistic flyby launching nanoswarms in 8008) it might prove a dangerous precedent since the DDC quite correctly pointed out that there were at this time over 472 areas claimed to be perverted on similarly uncertain grounds - would the interstellar community really dare to give every extremist and paranoid clade an excuse to act preemptively? In the end all neighbouring powers simply waited and watched. Over the years the Pi 3 Perversion has remained passive. Fears that it would spread have gradually been allayed among most beings, although AI pathologists and immune designers still keep a close eye on the system and traffic from it. The main worry is that backgrounders might pass close by and be infected, then spreading the perversion among the backgrounder network. Another worry is that the system might have launched relativist crafts on several occasions (or recruited unscrupulous relativist crews?) towards remote destinations - the perversion template is very likely to exist out in the periphery. The planet Pi 3 Orionis III in this system has a well-defended institute-colony dedicated to the study of this blight; if it falls then a number of neighbouring stars are also keeping watch on this planet from afar. The nearby system Gliese 203 has become an informal listening post, and the Institute of Eschatology has placed a Keter-sponsored defensive ISO at Gliese 183 A IV. Overall, the perversion is agreed to be one of the most cunning and long-range perversions in existence. Although claims it is the progenitor of the Amalgamation (through seeds left in the Perseus arm during the Geteche disaster) have been disproven, it is regarded as an extremely widespread and diffuse risk to galactic civilisation. That it can act through memetic infiltration is worrying enough, but that it has had 5000 years to do so unchecked is frightening. The biont society is tribal, divided into mutually competing and territorial Suku. The families within a Suku move around between different hiding-places, gathering food and equipment. Many live in underground warrens dug by utility robots. Overall, AI plays an important part in daily life, and the programs are regarded as part of the family. Around each temporary base perimeters of scouts, drones and traps are laid to make it impossible for anyone to get close undetected. Sometimes it appears that the human part of the family is mostly the glue that holds the other systems together; there are a few "keluarga otomatik", automatic families, where all humans are gone and the drones and software keep on. The lifestyle is a form of high tech hunter-gatherer society, with fairly much spare time. The spare time is used for crafts, especially programming. Beside the practical uses of making better software (for autofacs, drones, AI, protection programs and cracking systems) programming is regarded as an artform. Various other forms of art based on the originating clades exist. During the classic pre federation era the Indonesian-descended inhabitants performed digital versions of the traditional wayang dramas; using computers the traditional themes, complemented with colonial and infowar stories were brought to life. The pervasive religion is technoshamanism, interacting and appeasing the powers that be in the net. The family AIs are regarded as the protectors and links with the digital spirit world. Among the AIs competition is fierce on the nets (spread widely through self-replicating communication nodes and processors in the biosphere), an evolutionary race without end. To remain safe family AIs often employ only partially linked hardware, avoiding spending too much time in the dangerous (but rewarding) nets. Survival is essential; everybody should be able to escape at any moment. This has led to either extremely minimal clothing, similar to the one used by various jungle tribes back on Earth, or lightweight exoskeletons where everything needed can be carried. Everything is rugged, camouflaged and often imitates objects in the surroundings: drones look like leaves, containers like fruits or wood, weapons like branches. The local biota were created by Birnam Ecotech in order to create a "socially inspiring ecology". Most of the land surface (and much of the seas) is forested by a complex tangle of lightweight, hollow trees covered with saprophytes. In fact, many trees cannot photosynthesise but rely on "rent" from the saprophytes, which provide them with energy in exchange for nutrients and access to sunlight. The seas have floating forests, and the land forests are often very wet. In the northern regions the floating trees hibernate on the sea bottom, floating up to the surface in the summer and allowing stored seeds to grow. Animal life is simple, mainly a large variety of supple snail-like creatures with tentacles, and hairy flyers nesting in the crowns. Many animals live in symbiosis with their host trees, defending them and helping them against other plants. Some even form symbiotic parts of plants, like the Carrier Bat which moves "their" plants into the sunlight and attacks other plants. Some terrestrial species have survived like parrots, gibbons and tuna, but the Birnam ecosystem was deliberately made somewhat non-terrestrial since the corporation at first regarded the planet as little more than a test bench, and later as an unexpected artwork in itself.